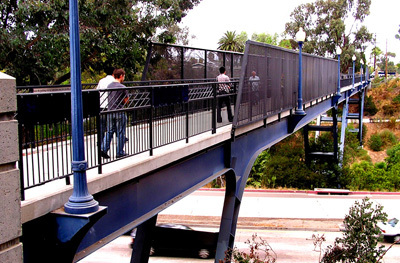 The Vermont Street Pedestrian Bridge is a 420 ft. long steel and concrete pedestrian bridge spanning a canyon and connecting two distinct San Diego communities. 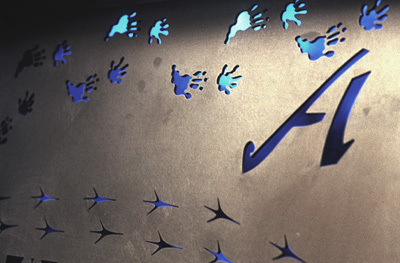 The project includes surface treatment of the concrete, creating images and text, and 28 laser cut stainless steel and colored plexiglas railing panels with icons and quotations that refer to the metaphors of time, walking, and bridging. 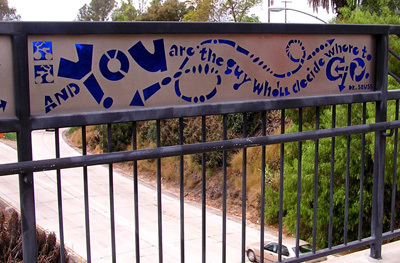 Some of the quotations include Dr. Seuss, Audrey Lourde, Irving Gill, Kate Sessions, Pythagoras, and Dr. Martin Luther King, Jr. 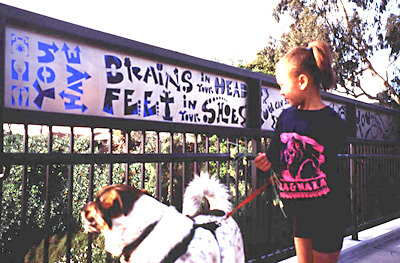 The project was completed in 1994 and received an "Orchid" award from the San Diego County chapter of the American Institute of Architects and a special project award from the California chapter of the American Planners Association. 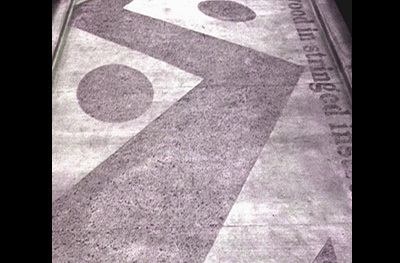 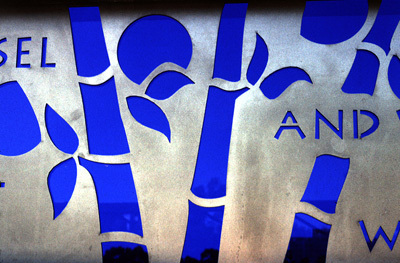 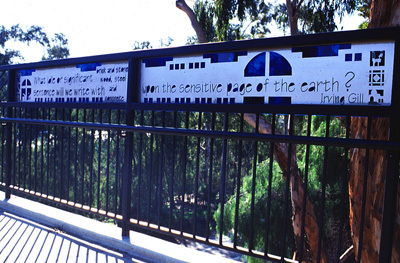 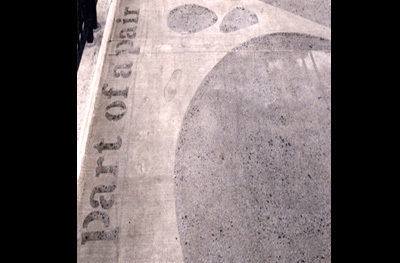 Published in Art in America magazine 1995 "Year End Review, Art in Public Places" and San Diego Home and Garden magazine, "Art for Our Sake" review of public art in San Diego.